Well we have a treat this week – fresh garlic! The farm usually dries it out first so this is something different – check out What’s in the Shares for instructions on storing and using as well as recipes. But honestly, isn’t garlic delicious in just about any dish! And we hear you regarding the lack of love for the fennel we received. Please see the attached fennel recipes provided by core team member Larry’s wife Catherine. And a simple way to prepare by core team member Caroline. Thank you both! 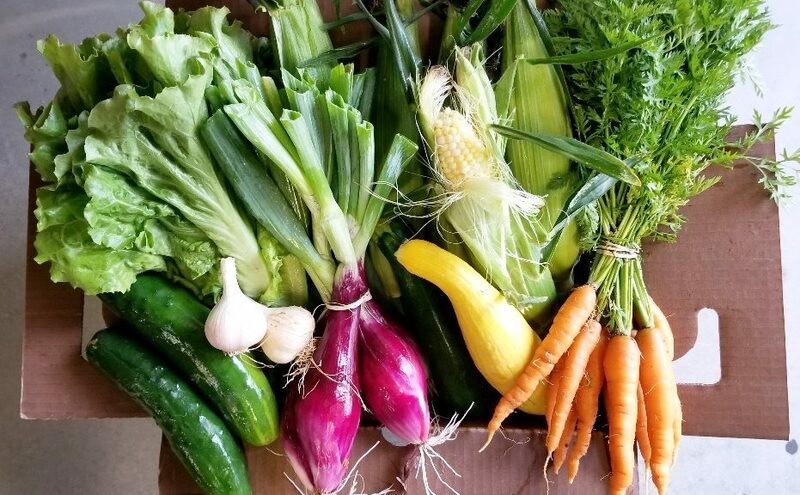 Goodale Farm apologizes for not delivering last week due to their mix-up with the 4th of July holiday. They will make up for it with a double delivery of dairy and eggs. Meat shares this week. Thank you to last week’s volunteers – we couldn’t manage without you! 2nd shift: Amy, Judy H.
Meet Flushing born Gutsier Living’s Shweta Parmar for practical holistic tips for your physical, mental, emotional and spiritual wellness; and upcoming Summer Travels! ~ Get some yummy homemade DIGESTIVE CHEW! Lewis Waite delivery this week. Still no word on fruit shares yet. We hope to have interns volunteering again this week, courtesy of the Flushing Chamber of Commerce. Storage: On the counter at room temperature. Uses: Raw or Cooked When to use: Within a month.Carrots – Freshly harvested, sweet and crisp! Kohlrabi – A super versatile veg! I’ve been grilling slices of it and it’s delicious! Previous Flushing CSA (Week 6) Update! Next Flushing CSA (Week 8) Update!